Fancy getting your feet wet? It's definitely worth it: we're showering down £15,010 in prizes with our Cash Splash promotion! 1,000 winners will get to take a slice of this massive prize pot, with one lucky player taking home the big one: £3,000 in cash. Running until the 6th of February, you have every chance to take home one of the top place prizes. We'll be drawing the winners on the 7th of Feb, so stay close to your emails. Getting your hands on one of these prizes is simple. All you have to do is wager on select NetEnt slots. 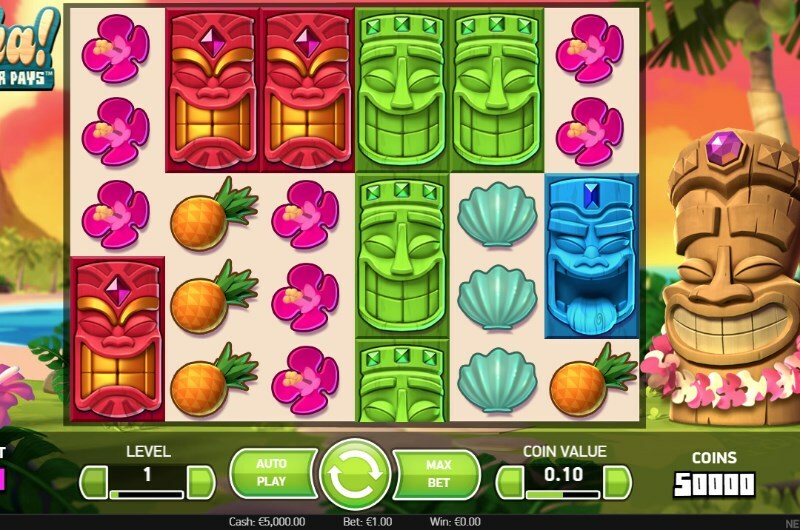 Every £20 wagered on Aloha! Cluster Pays, Koi Princess or Spinata Grande will award you one prize draw ticket. At the end of the promotion, we will draw all those prize draw tickets out of the hat - selecting the 1,000 winners. So how do you give yourself the best chance of winning? Well, it's actually not as difficult as you think. To give yourself the best chance, you simply need to collect more and more tickets. The more tickets you have to your name, the better your chances when it comes to the draw. Keep in mind: that only 1 prize will be delivered to each winner. But collecting more tickets still gives you the best chance of nabbing the £3,000 grand prize. We did forget one important detail of this promotion. All those cash prizes? They are exactly that - cash. That means there are no wagering requirements. Once you have won, you can start the withdrawal process. Login to your Mayfair Casino account today and get ready to be splashed with some serious cash. Need even more information? You will find a quick FAQ plus the important terms below. Is this a free cash giveaway? No, you can take part in the giveaway when you deposit £20 and claim your first prize draw ticket. And how many tickets can I claim? As many as you like! The more you play, the better your chances of a prize draw win. Will there be more prize draw giveaways? Of course, we hold new promotions every week, check our news page or promotions for daily updates. The “Cash Splash” Network Promotion will run from 00:01CET on 28th January 2019 till 23:59CET on 6th February 2019. Cash Splash is a UK/Ireland only promotion and it is open to all customers who are aged 18 years or over and have registered an account with the operator offering any of the participating games specified. Every time a player plays a minimum of £20 (or other currency equivalent) across the qualifying games in a single promotional day, he/she will receive 1 entry ticket to the prize draw. * The same player can get a maximum of 1 prize per draw. The cash prizes are worth £15,010 and will be shared amongst 1,000 winning players*. *Each player can win only 1 prize per prize draw.